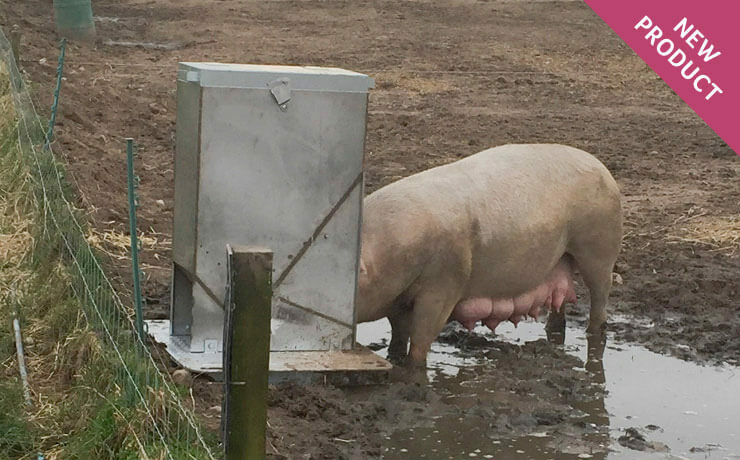 Lactating sows typically eat only 70% of feed when it’s first offered, returning for the remainder later. 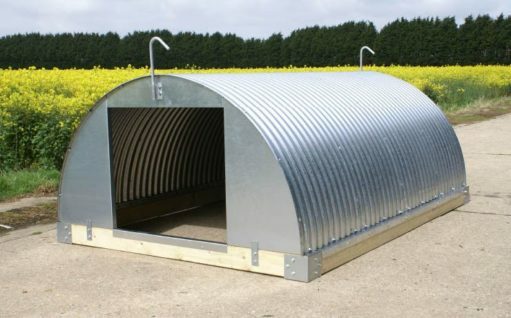 Our Farrowing Feed range is designed to keep feed dry, off the ground and out of reach of vermin, reducing wastage and costs. 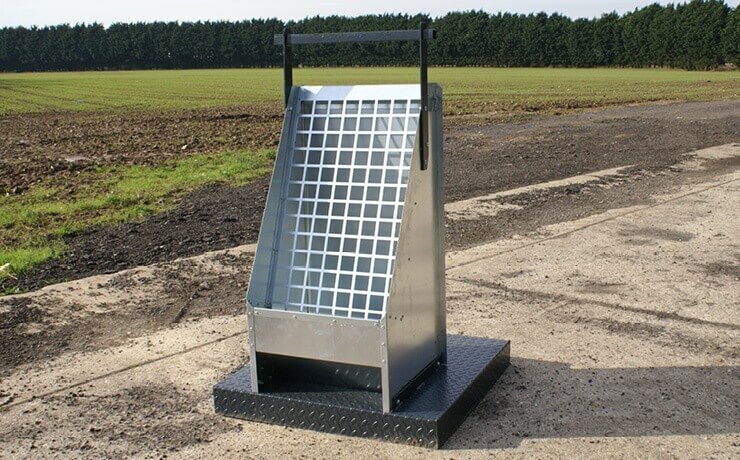 As with all our products, our Ad-Lib Feeder is the result of extensive consultation and on-farm trials with some of the UK’s leading outdoor producers. 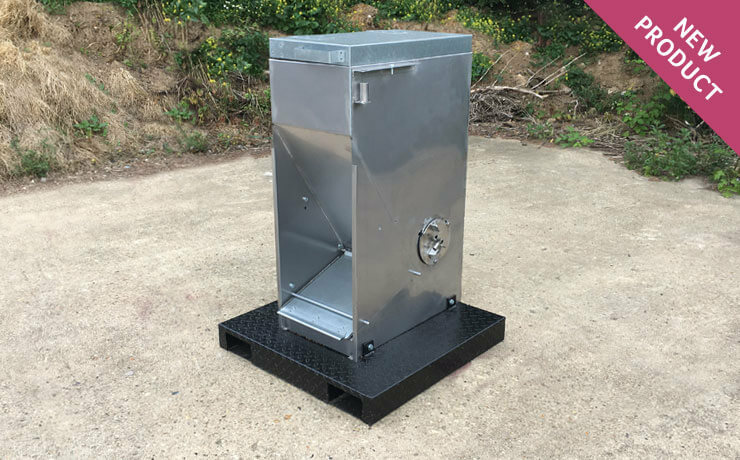 It’s constructed entirely in galvanised steel to resist corrosion, and has a capacity of 100kg, allowing longer gaps between filling, reducing time and labour costs. 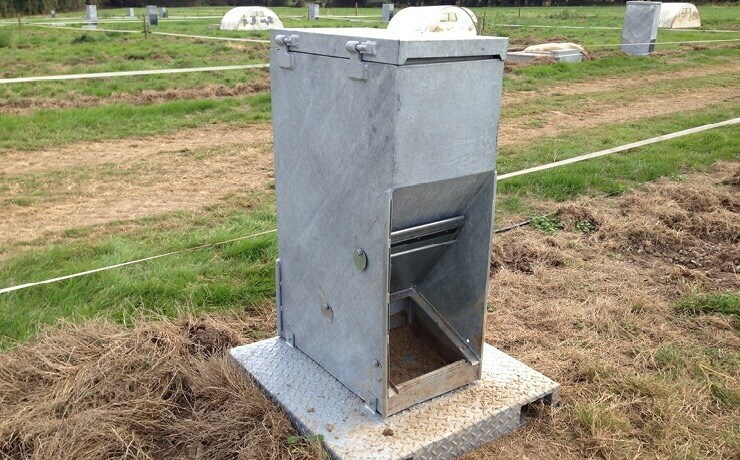 The Feeder is filled through a perforated panel at the back, covered by a lid to keep the feed dry. 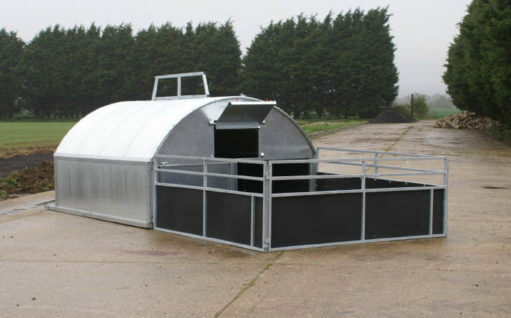 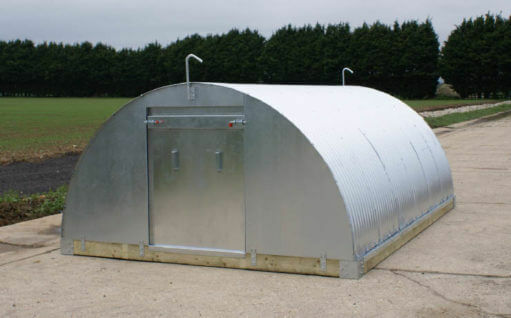 It’s mounted on a 0.8m x 0.8m Durbar structural steel plinth for maximum stability, and to provide a dry, secure standing area for sows while they’re feeding. 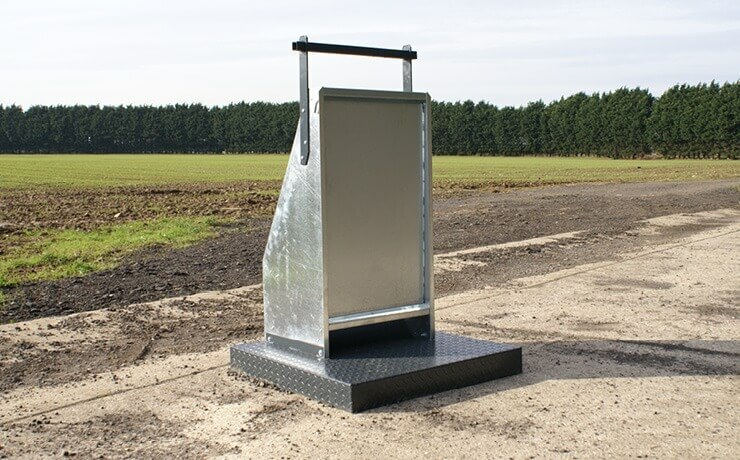 It can be moved easily using the integral lifting bar: fork sockets can be added to the plinth if required at no extra charge. 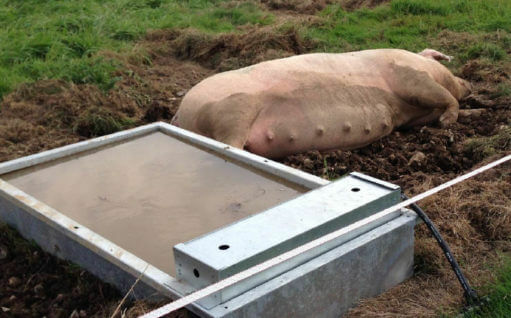 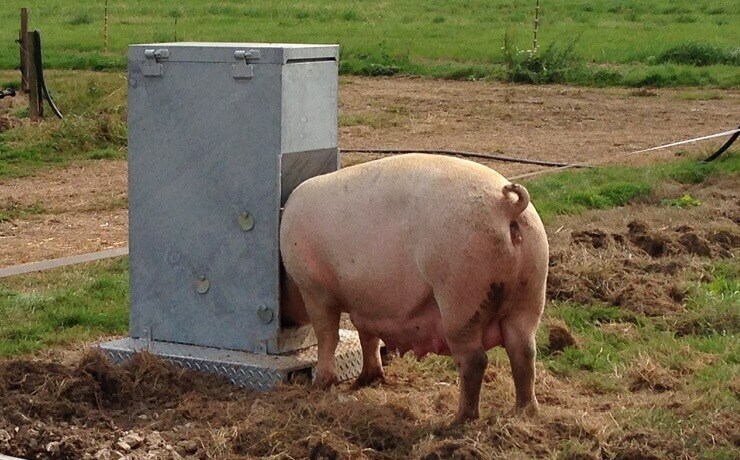 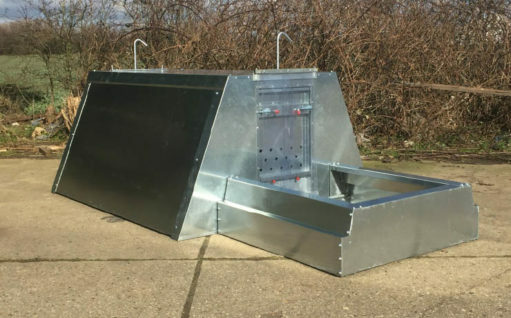 A simple, lower-cost alternative to our Daily Feeder, the Trough Feeder is designed for daily feeding based on sow condition. 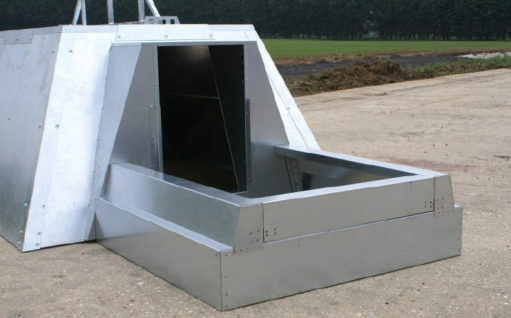 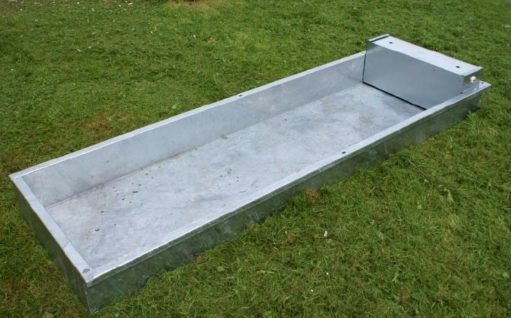 Constructed in tough galvanised steel to resist corrosion, the trough keeps feed off the ground and out of reach of vermin., with a hinged lid helping to keep the feed dry. 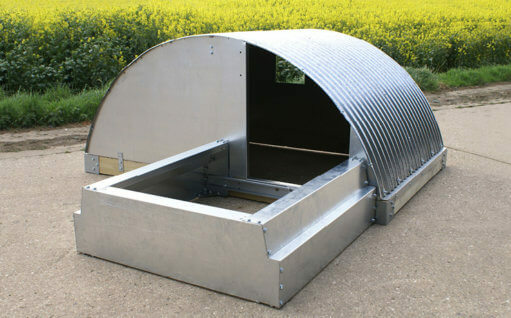 Available in a range of lengths to suit your numbers.